Home Business ISH Geek ISH Geek ISH: iPhone goes Quadruple Platinum in 4 days! Geek ISH: iPhone goes Quadruple Platinum in 4 days! Apple is winning with iPhone 4S sales--figures suggest over four million units were sold this past week. The phone was officially released on October 14 and become an instant top-seller when one million units were ordered during Apple's presale of the phone. According to an Apple press release, these numbers are "the most ever for a phone and more than double the iPhone 4 launch during its first three days," said Philip Schiller, Apple senior vice president of Worldwide Marketing. The iPhone 4S was also good business for cellular carriers AT&T and Sprint, both claiming record-number sales and activations with the phone's release. The new phone features 'Siri', described on the Apple's website as "an intelligent assistant that helps you get things done" and speaks back to you when you ask it a question. The product also features a 1080p HD video camera. For Apple users who opted out on buying the new phone, the company released iOS5 on October 12, the new operating system for the iPhone which features iMessage, an instant messenger system comparable to Blackberry BBM, iCloud an online storage space and synching app, and also the Newsstand app, which could be a step forward for magazine and newspaper readership. 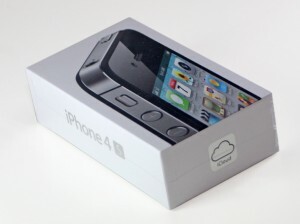 iPhone 4S is currently available for sale in seven countries and over 70 countries will be able to get their hands on the new technology before 2012.